Launched in a Harvard dorm room in 2004, Facebook sought to connect friends and classmates, drawing inspiration from Friendster. Its platform soon expanded to Stanford, Columbia and Yale, then onto more than 800 college networks. Photo provided by Matt Harnack, Facebook. Launched in a Harvard dorm room in 2004, Facebook sought to connect friends and classmates, drawing inspiration from Friendster. Its platform soon expanded to Stanford, Columbia and Yale, then onto more than 800 college networks. The Facebook, as it was originally called, was gaining users at an unprecedented rate. The Internet took 31 years to reach 900 million users; Facebook did it in less than nine. Today, Facebook’s goal is to make the world more open and better connected. Its 901 million monthly active users have made 125 billion friend connections, by the end of March. Facebook is now exploring ways to strengthen those relationships while continuing to build new ones. In arguably the most-anticipated tech IPO in history, Facebook, Inc. (FB) began trading Friday, May 18, at an opening price of $38 per share. An opening-day software glitch from Nasdaq resulting from last-minute order cancellations delayed the IPO. The stock closed its first day at $38.23, up 0.6 percent from its IPO price, which was viewed as a disappointing start. Nasdaq OMX Group, Inc. Chief Executive Officer Robert Greifeld publicly apologized for the delay, saying in a conference call with reporters Sunday, May 20, that the U.S. exchange was “humbly embarrassed” over the glitches that interfered with the IPO. Shares began to slide one business day after opening, falling 10 percent on Monday to close at $34. Greifeld, however, said the glitches were not responsible for the falling stock price. The stock slide has been blamed on an entirely separate issue, which has since resulted in shareholders filing lawsuits against Facebook. One suit alleges that important information about Facebook’s financial outlook was not made public but instead “selectively disclosed” to financial institutions prior to its IPO. 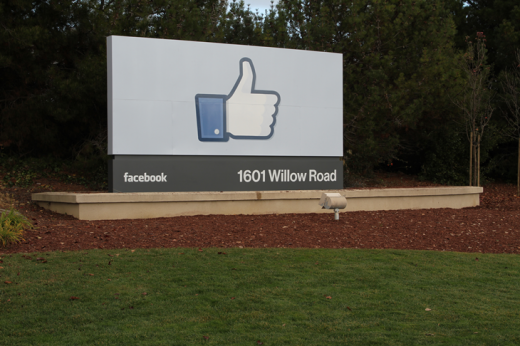 Facebook, Inc. finished the week down 16 percent from its IPO price, closing Friday, May 25, at $31.91. It was a week as climactic as a scene from The Social Network, the 2010 Facebook-inspired biopic. “There’s a lot of un-fundamental dynamics going on…there are a lot of moving parts that create uncertainty for me,” said Daniel Ernst, Hudson Square Research principal, in a CNBC video report. In April, Facebook acquired the popular photo-sharing application Instagram for a cool $1 billion in cash and stock. Since the announcement, Instagram’s user base has experienced a 60 percent increase, from 30 to 50 million. The deal is subject to customary closing conditions from the FTC. Facebook is clearly setting its sights on photo-sharing, a key component of the mobile experience. More than 300 million photos are uploaded to Facebook each day. On Thursday, Facebook introduced Facebook Camera for iOS, a standalone photo application where users can shoot and share photos as well as browse recent uploads. Facebook Camera is a very Instagram-like app that syncs with existing Facebook photos, creating a photo-only feed where users can like or comment on friends’ uploads directly from the stream. “Today, we're introducing Camera, a new mobile app that makes using Facebook photos faster and easier,” Facebook product manager Dirk Stoop wrote Thursday on the company’s press page. Like Instagram, Facebook Camera features photo filters and easy editing. Unlike Instagram, Camera allows users to upload multiple photos at once and comment on the entire set. Though, the biggest difference between Instagram and Facebook Camera is the inherent user base. The company’s recent acquisitions and Facebook Camera are all in tune with its goal of a more open and better connected world – and illustrate its focus on mobile. The more Facebook knows about its users, the more relevant the ads it delivers. This is true with any online advertising platform: Google, Yahoo, Facebook, Microsoft, etc. Within the next year, I believe Facebook will incorporate more advertising into Facebook content and the news feed. It has already begun this process with Sponsored Stories. Watch for the next wave of Facebook advertising to be better integrated and displayed on web and mobile as well as better targeted to users’ interests, activity and likes. Facebook did not respond to my request for comment on upcoming advertising plans. Facebook is positioning itself to be everywhere its users are: on the web, smartphones and tablets. “We want to have every user in every market using Facebook – we’re investing in smartphones and at the same time as in mass market phones because we believe with great features and great integrations, every phone can become sociable,” said Facebook's Head of Mobile Business Henri Moissinac in the first quarter of 2011 after Facebook had acquired mobile startup Snaptu. In addition to the rumored Facebook phone, there were rumblings Friday that Facebook will enter the browser business by acquiring Opera Software. The company introduced Facebook email accounts in 2011, complete with the @facebook.com address. I see Facebook rolling out its own cloud service, for users to store files and collaborate on projects with friends. Facebook did not respond to my request for comment on cloud plans or the possible Opera acquisition. In the past six weeks, Facebook has acquired photo-sharing applications Instagram and Lightbox, gift-sharing service Karma, location-based service Glancee and launched its own photo app Facebook Camera. Facebook is becoming the entire infrastructure for the web. A platform connecting our interests, likes, photos, messaging, friends, family and life events. It’s anyone’s guess where Facebook will go from here. But if it accomplishes nothing else, there’s no debating the fact that we’re more open and better connected than we were before 2004, when four college buddies had an idea that would change the world. 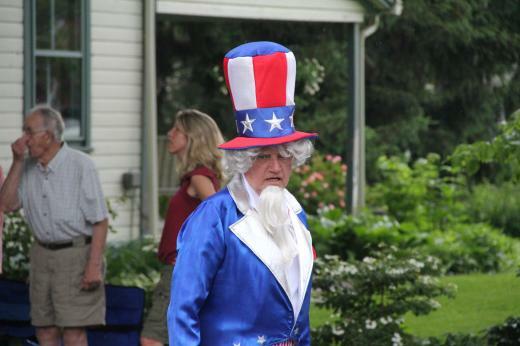 Hundreds of Centre County natives lined the streets of Boalsburg Saturday afternoon for the annual Boalsburg Memorial Day Weekend parade. Braving the elements, parade goers saw floats, bands, trucks, and dogs from all across the county take part in the festivities.